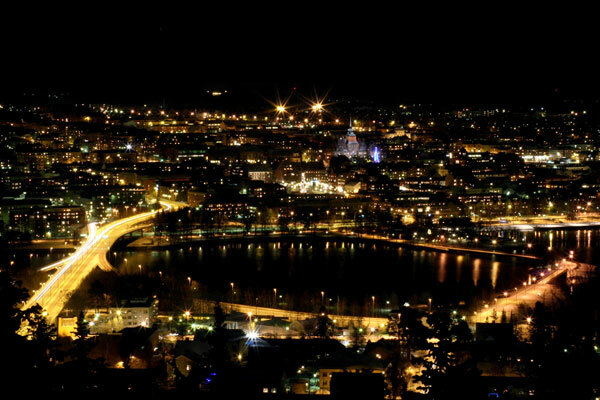 years Östersund has hosted a number of international cross-country skiing and biathlon events, including the biathlon world championships in 2008. The national winter sports research center is also located in Östersund on the university campus close to the vast ski trail network. During the month of March each year, the city hosts a three week-long winter festival including 20 km of natural ice-skating, sporting, food and cultural events, as well as the city’s Winter Park along the frozen shores of Storsjö - only 100 meters from the town center. One hour away lie the world-class downhill ski slopes of Åre, which hosted the world alpine skiing championships in 2007.
extracurricular activity information package will be provided for all competitors and administration if they should decide to explore some of what Jämtland and Sweden has to offer. Booking and travel arrangements will be simpli?ed and available at reduced rates, including alpine skiing, dogsledding, historical and geographical experiences, wilderness and mountain hut tours, and various nightlife activities.